Welcome back everyone! We hope you all had a great holiday break and are ready for another year of TF2! The ozfortress seasonal league is returning for the first time in 2019 with a twist. As usual, the league will be run using the highly successful Warzone. 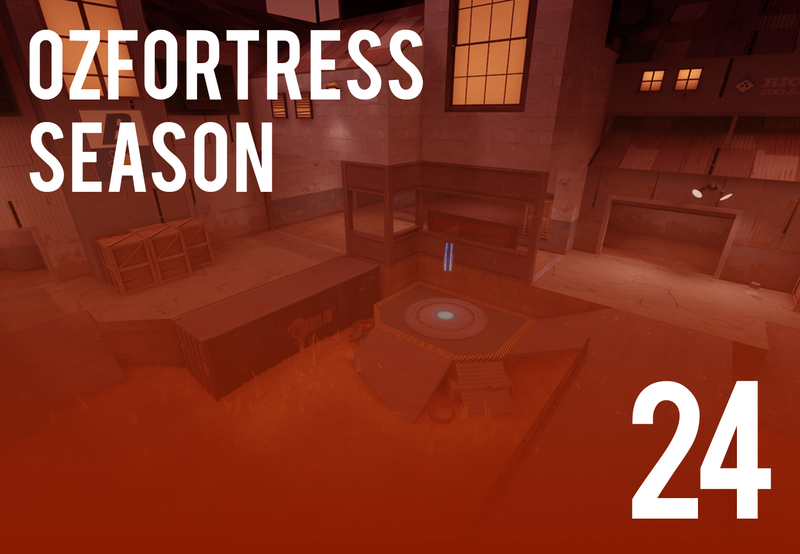 Whether you're a hardened veteran of the scene or a newcomer to 6v6 TF2 there will be a place for you in ozfortress season 24 and we hope to see you there! ozfortress season 24 will see a significant change to the format of maps and rounds for the first time in over five years. For OZF 24, we're expanding the map pool and trailing a new map system that will feature nine maps rather than the usual seven. This will lead to certain maps being played once during the regular season with other maps being played twice. The maps we'll be adding into the map pool are cp_metalworks and cp_granary. cp_granary will be returning to the map pool after a season-long absence while cp_metalworks will now feature in the ozfortress seasonal league after an exciting return to ozfortress in A Midsummer Night's Cup 2019 #1! Note: Will will be using cp_logjam_rc10a once it has been released. OZF 24 will feature 3 brackets: Premier, Intermediate and Open. Premier will have a round robin group stage while the lower two brackets will consist of a Swiss group stage. All brackets will continue using the Page Playoffs format. Grand Finals for Premier shall be played as a no-advantage best of 5, while Open and Intermediate Grand Finals will be a best of 3. Premier will have 8 teams while Intermediate's bracket size is pending signups. Open will have an unrestricted number of teams. During OZF 24 we plan on conducting random demo checks to ensure players are recording demos. Please ensure that you are recording match demos in order to avoid punishment. For those who missed the announcement, we have also welcomed arnold to the ozfortress administration team. He will be administrating Open along with Fozzlm. You can sign up for ozfortress season 24 from Monday the 21st of January up until Thursday the 31st of January. We aim to have seeding out by the 2nd with the season starting on the 3rd, however this is subject to change. This gap between the closing of signups and the start of the season is to give the administration team more time to seed. ozfortress season 24 will begin on Sunday the 3rd of February.